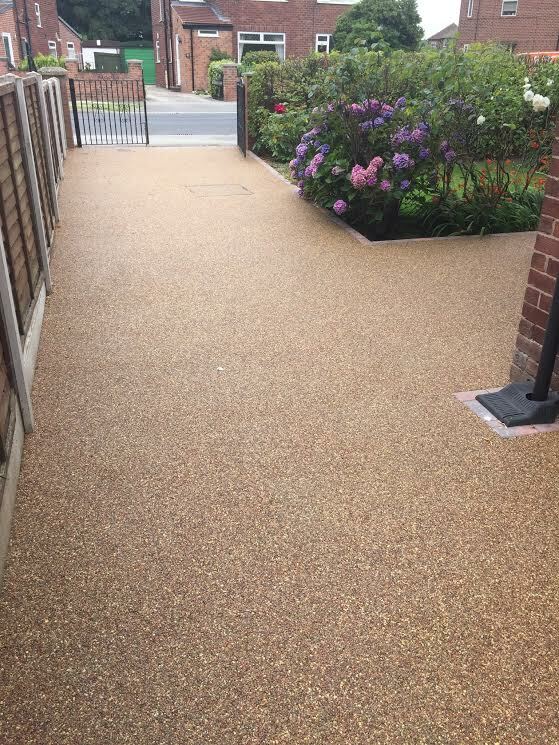 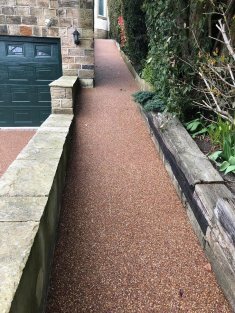 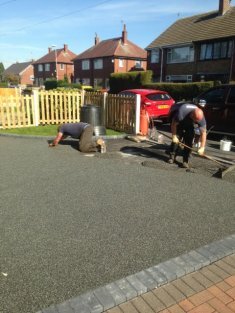 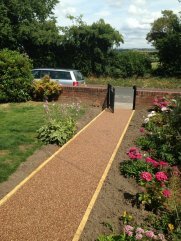 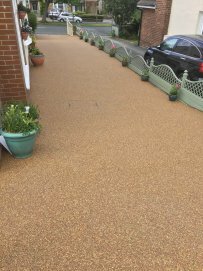 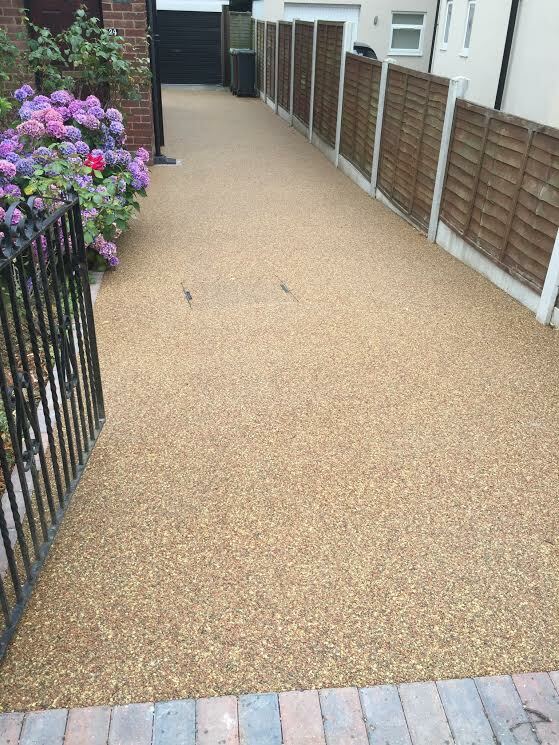 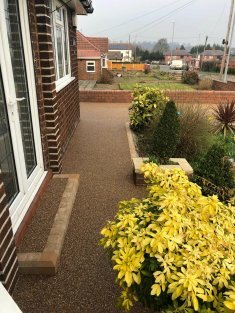 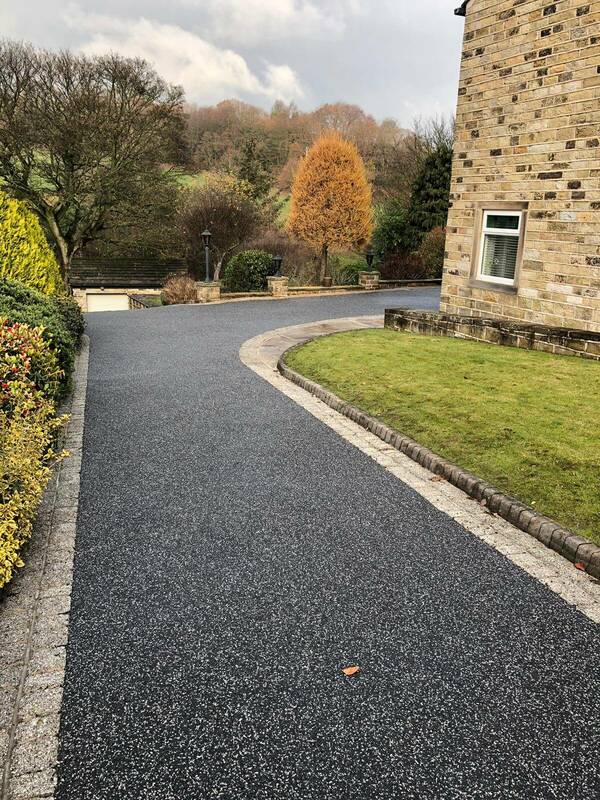 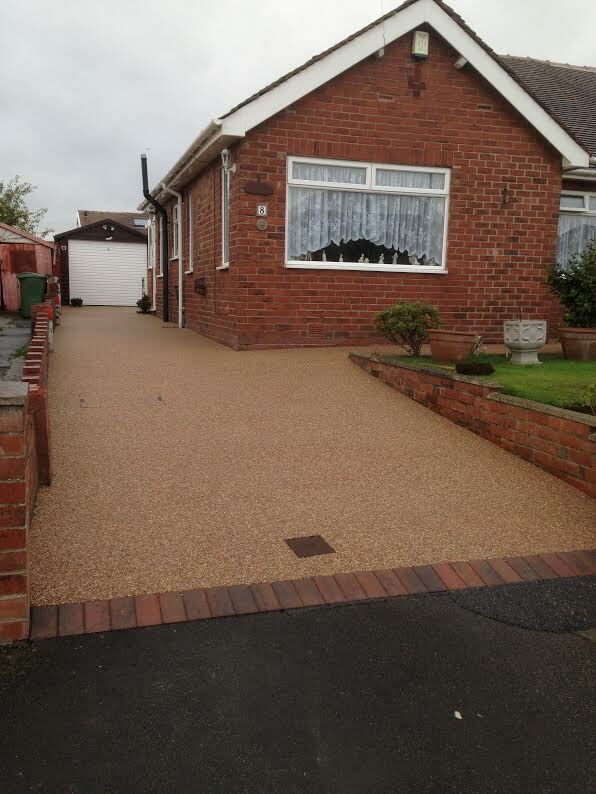 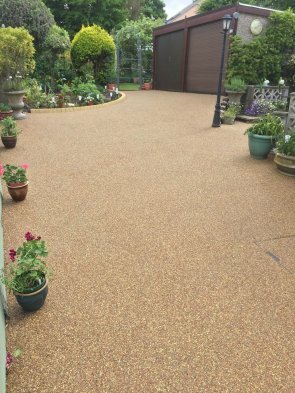 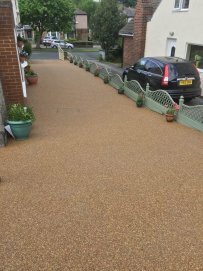 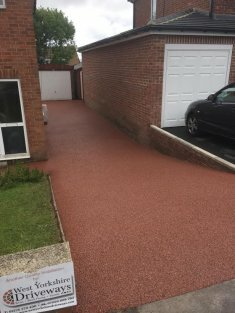 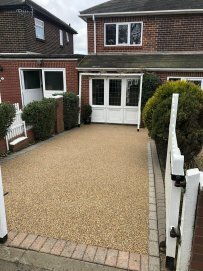 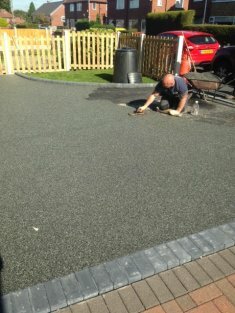 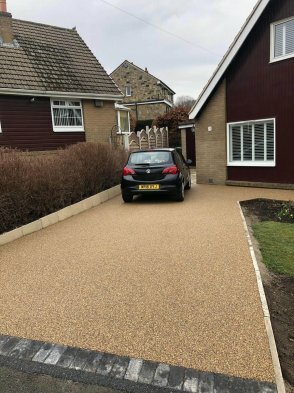 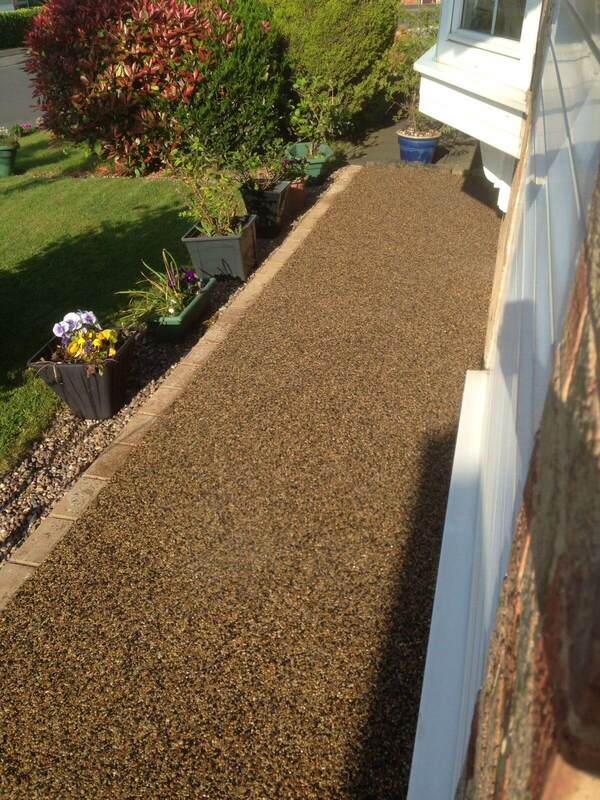 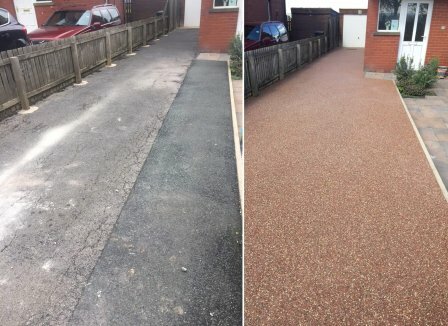 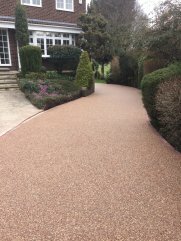 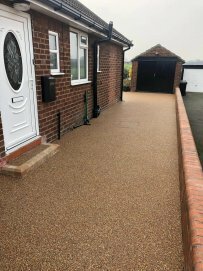 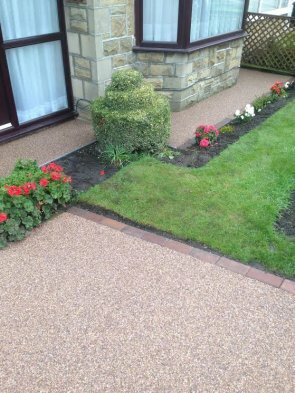 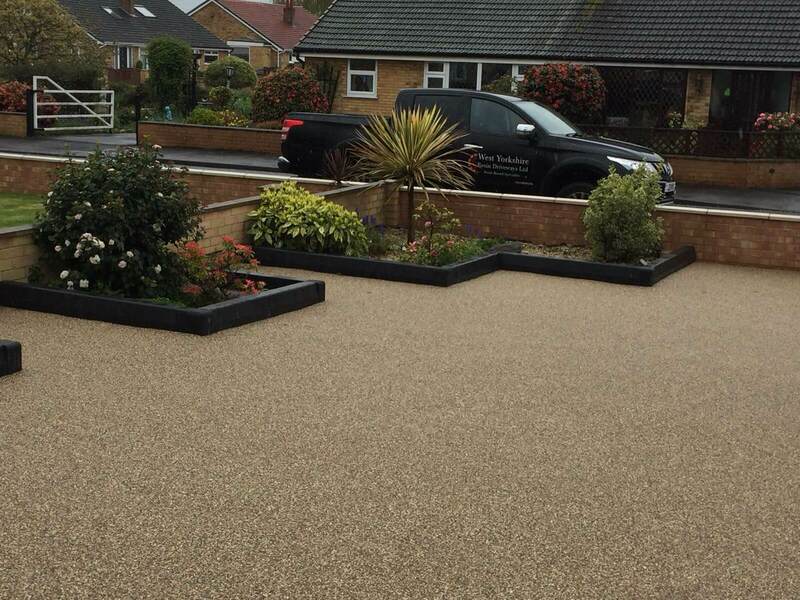 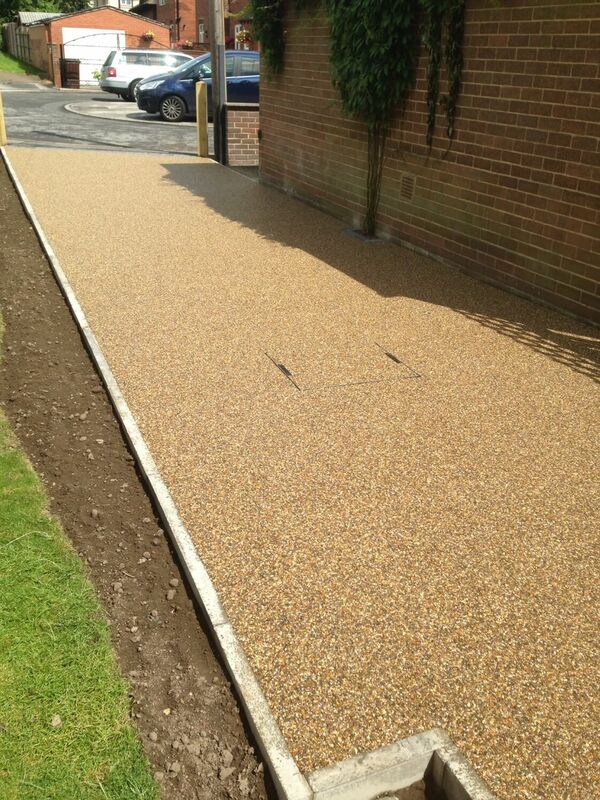 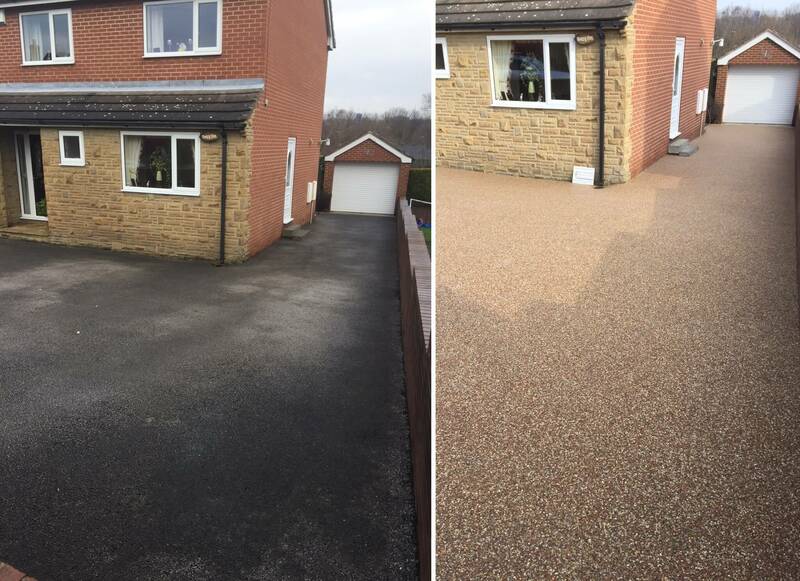 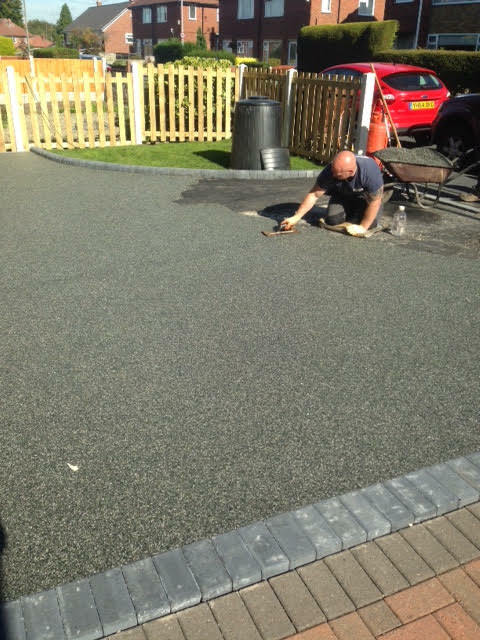 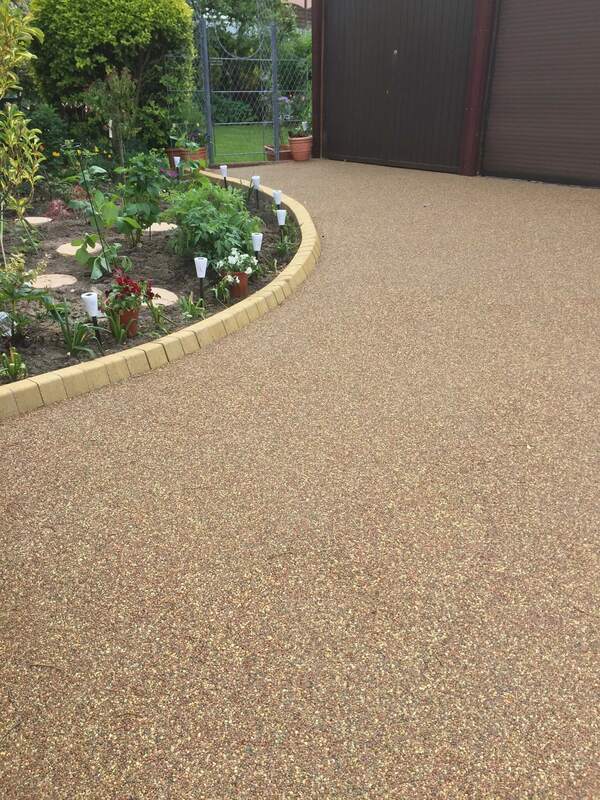 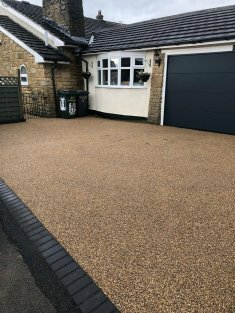 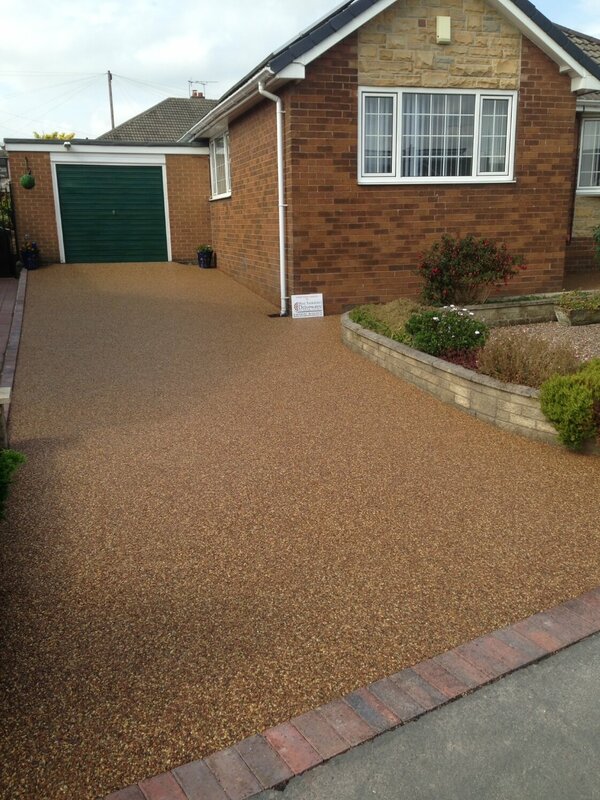 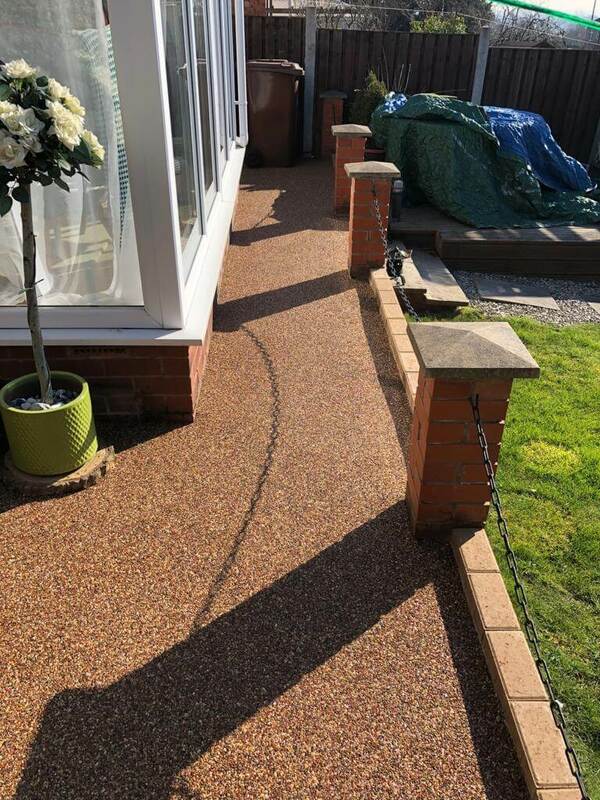 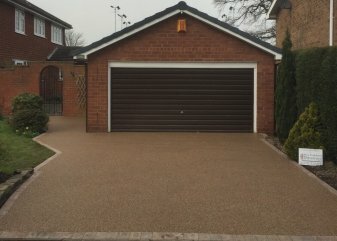 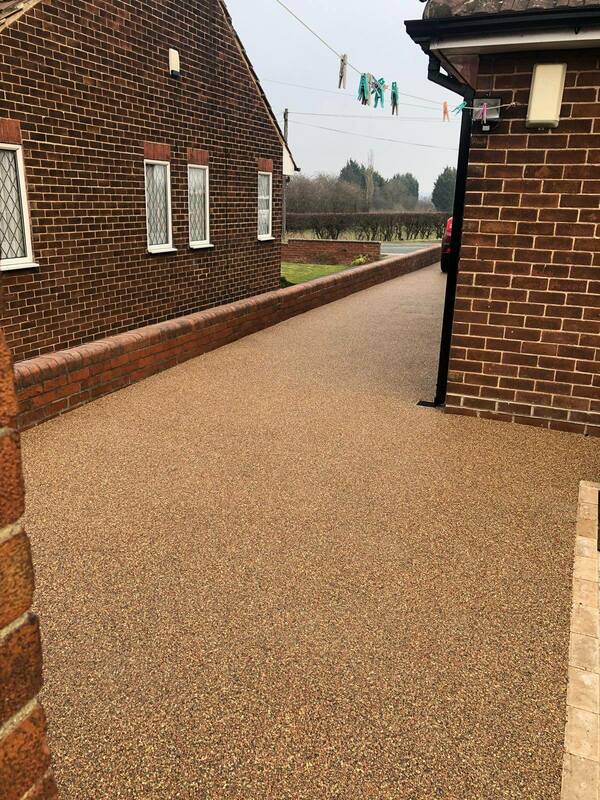 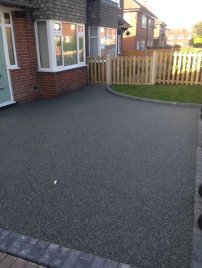 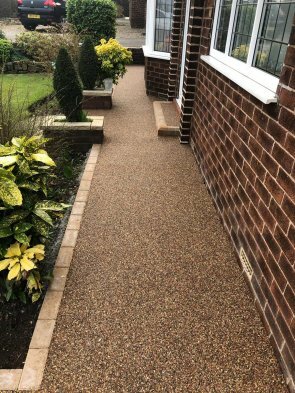 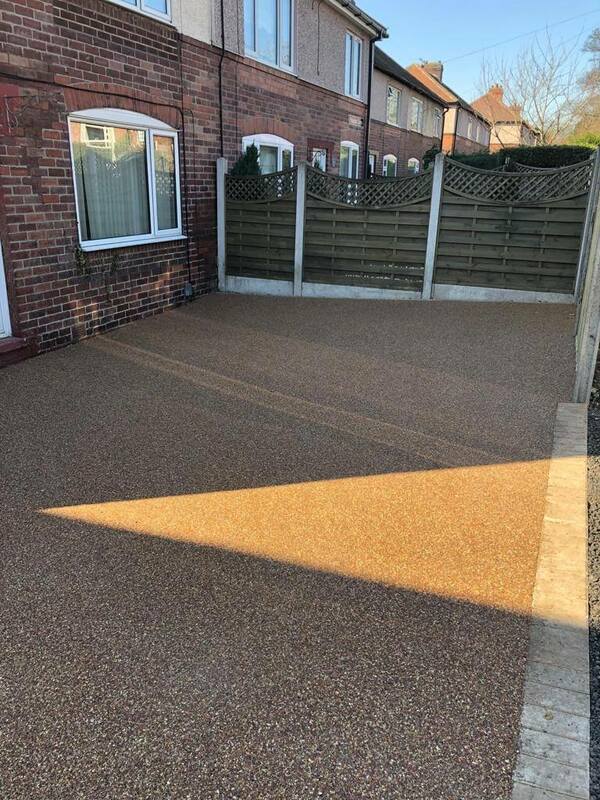 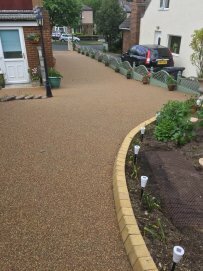 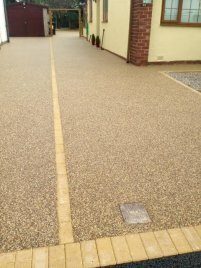 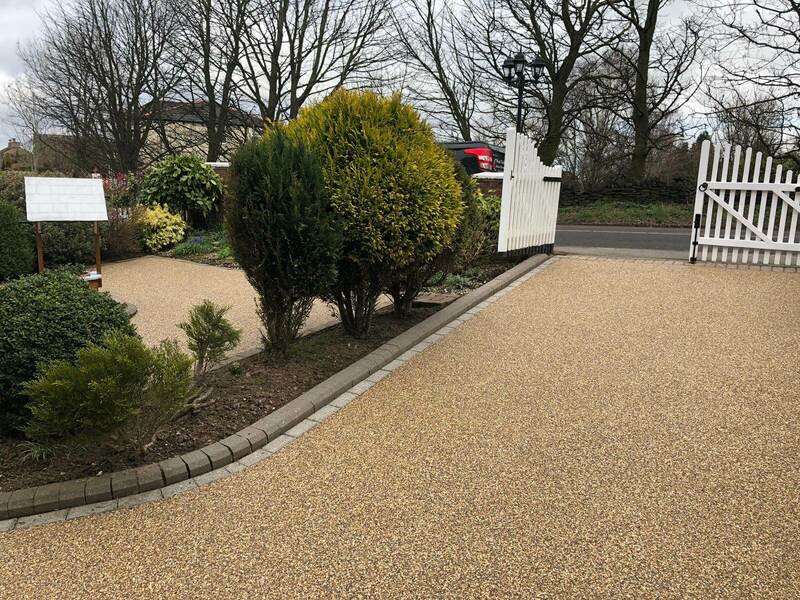 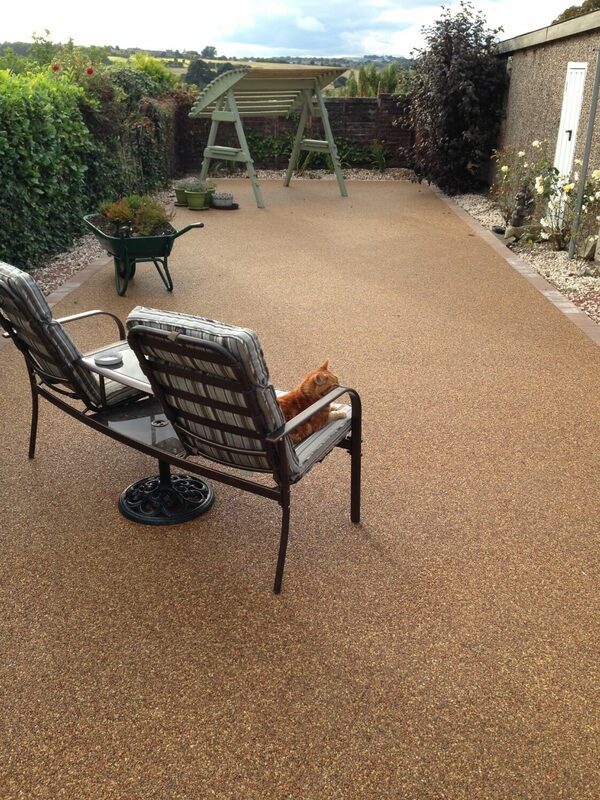 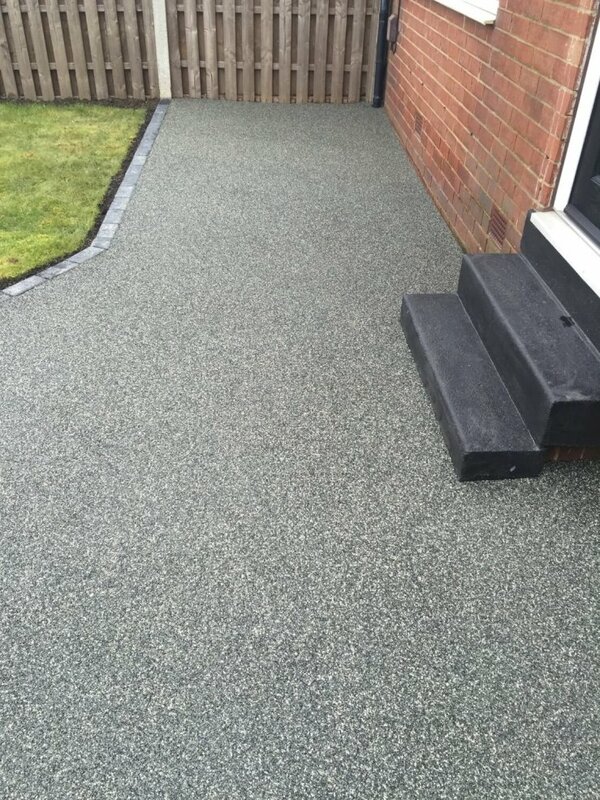 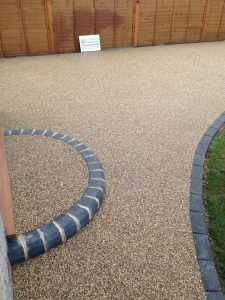 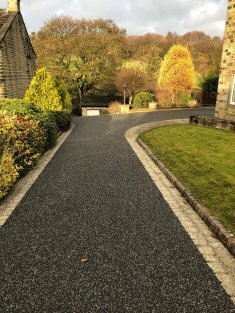 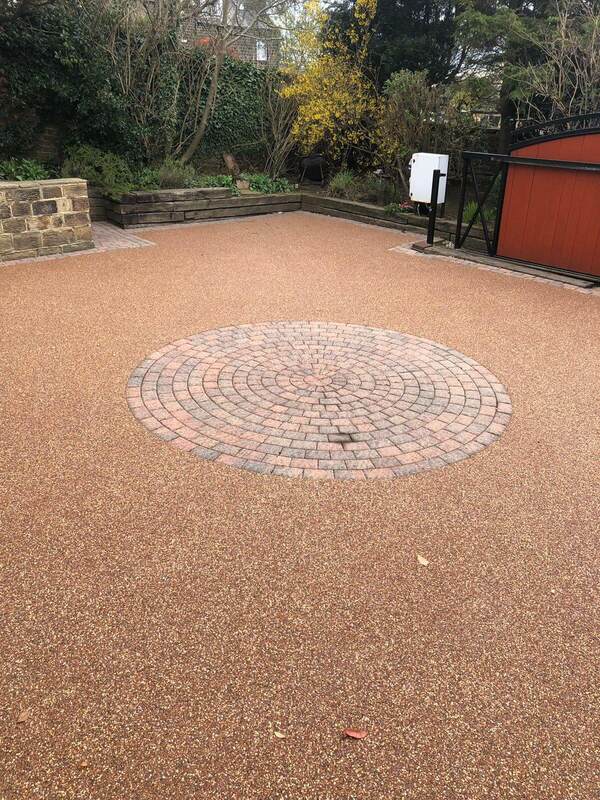 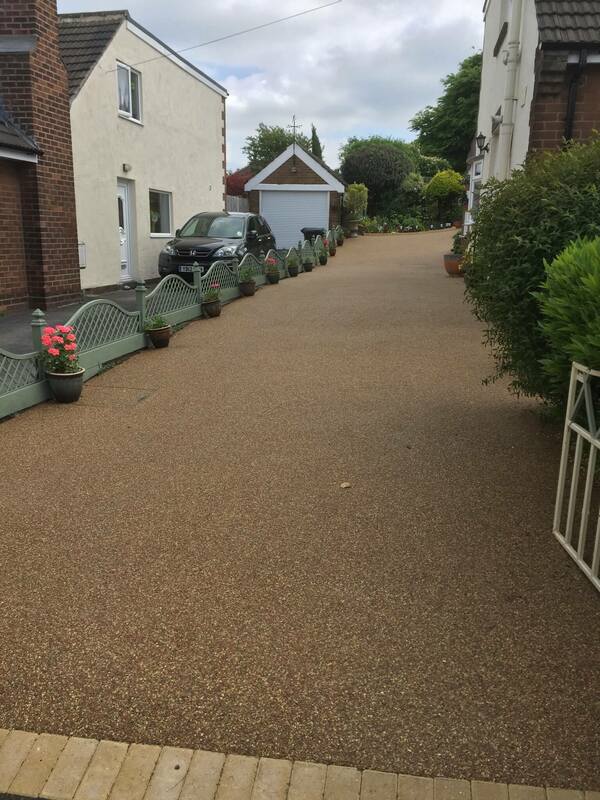 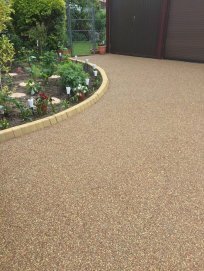 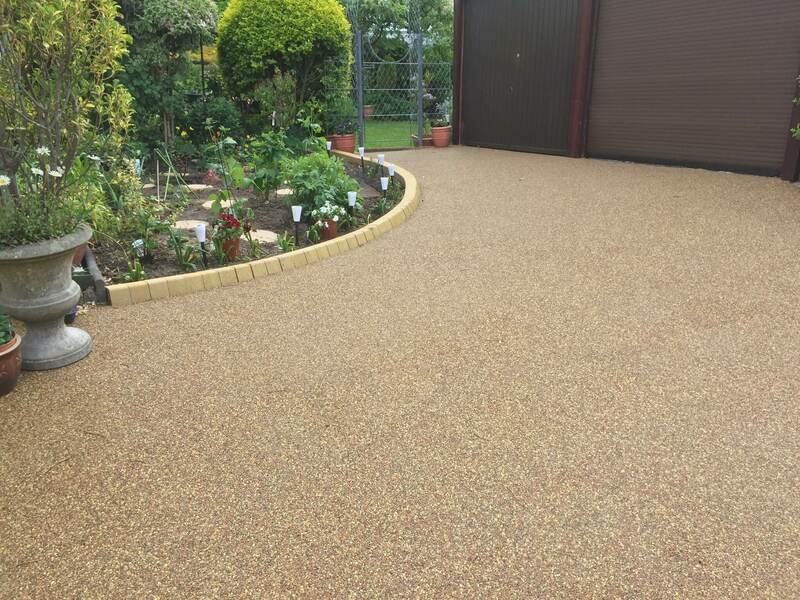 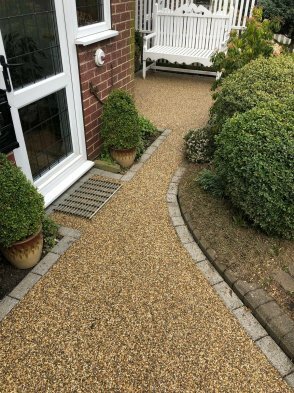 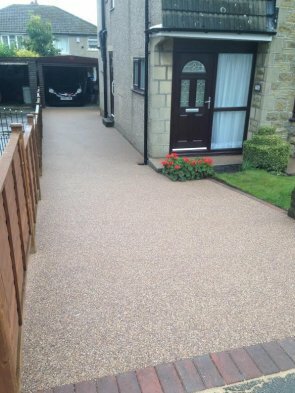 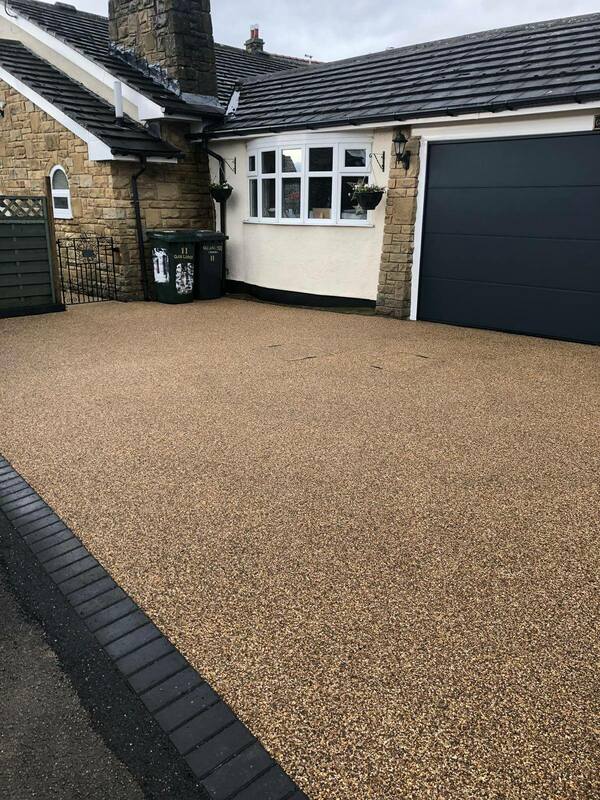 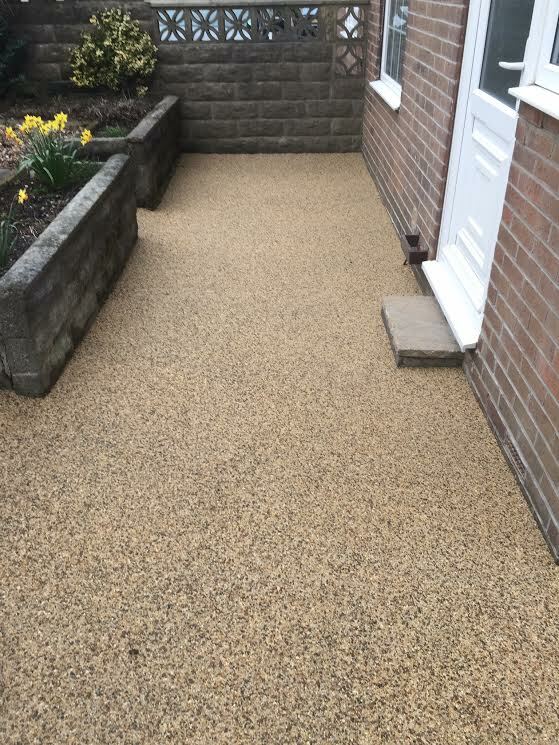 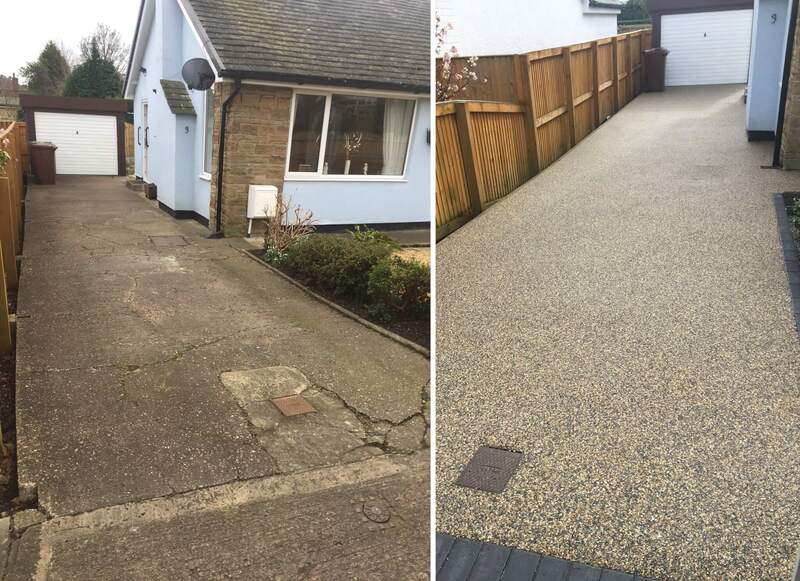 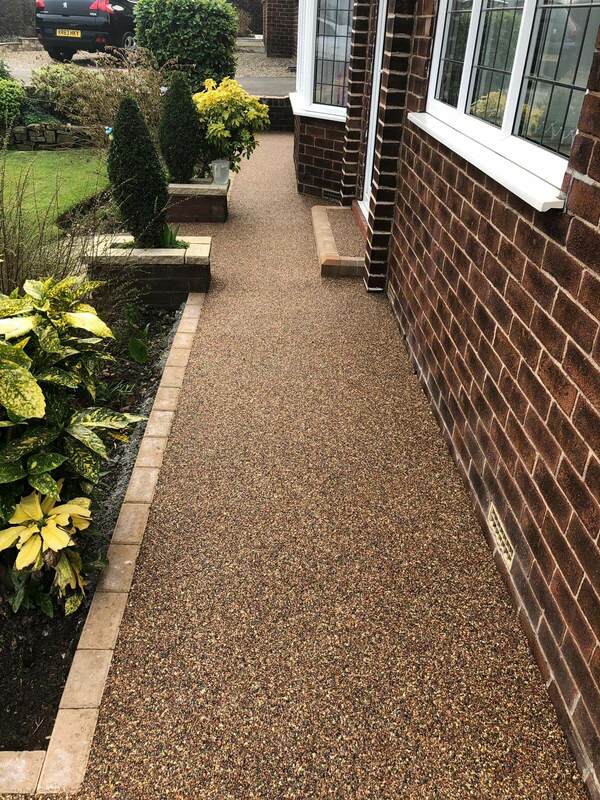 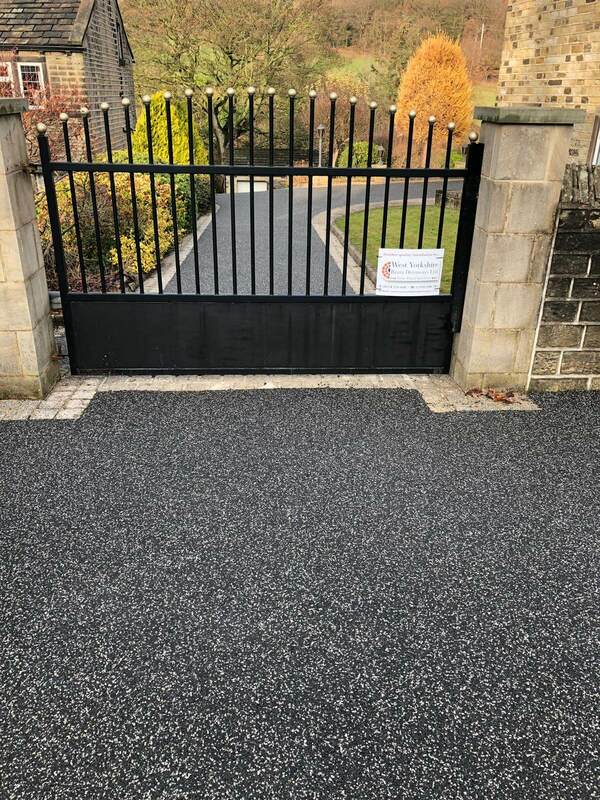 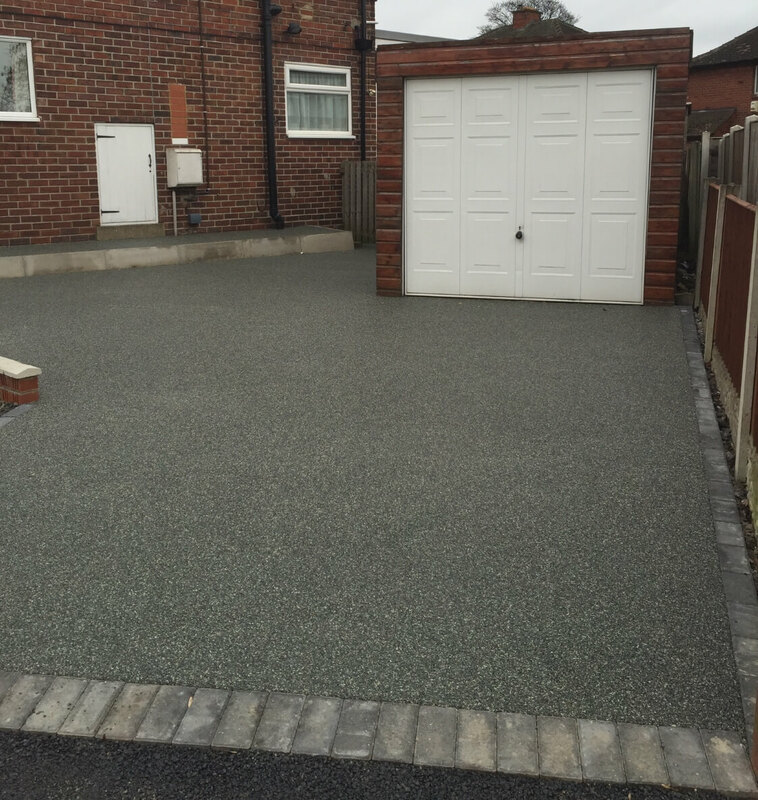 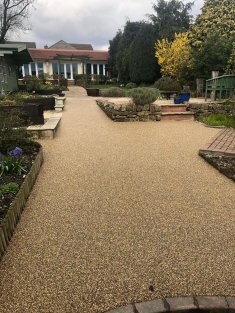 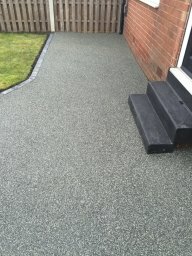 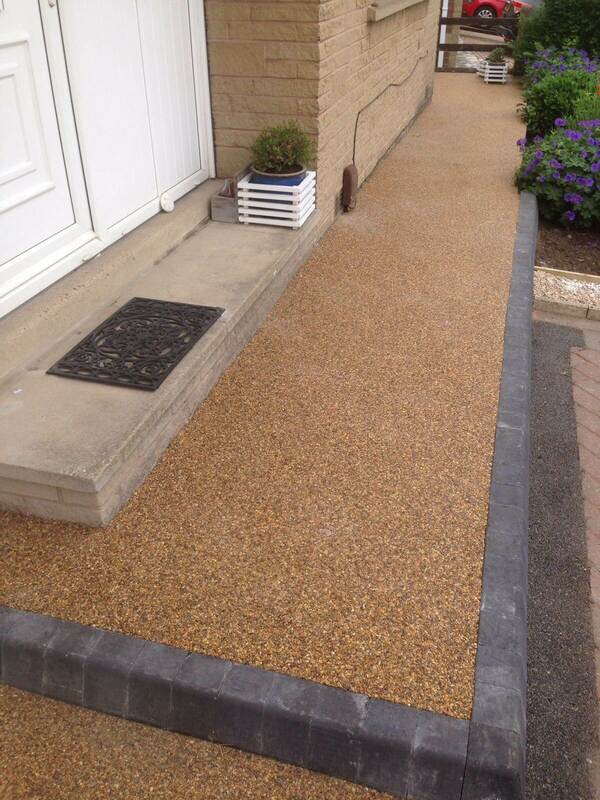 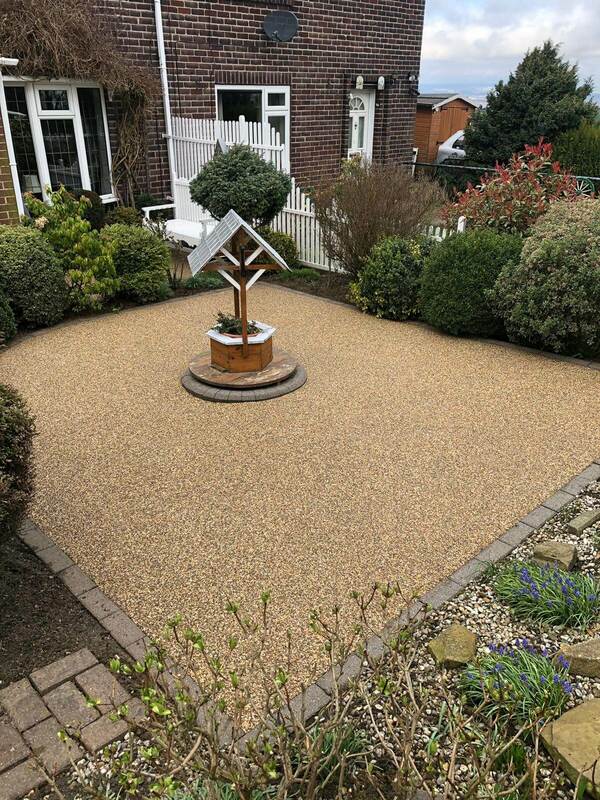 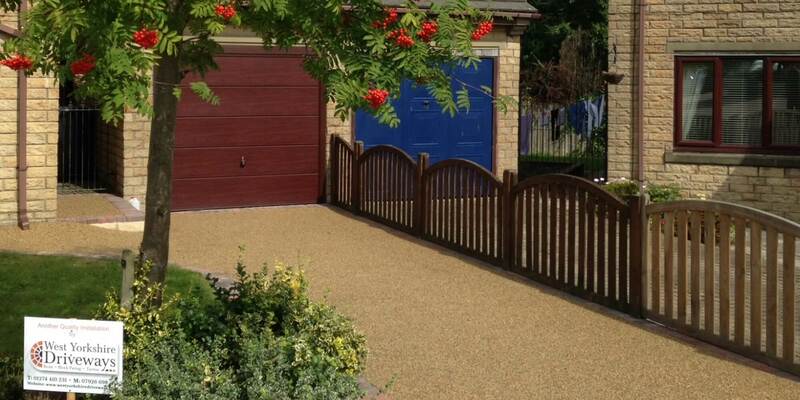 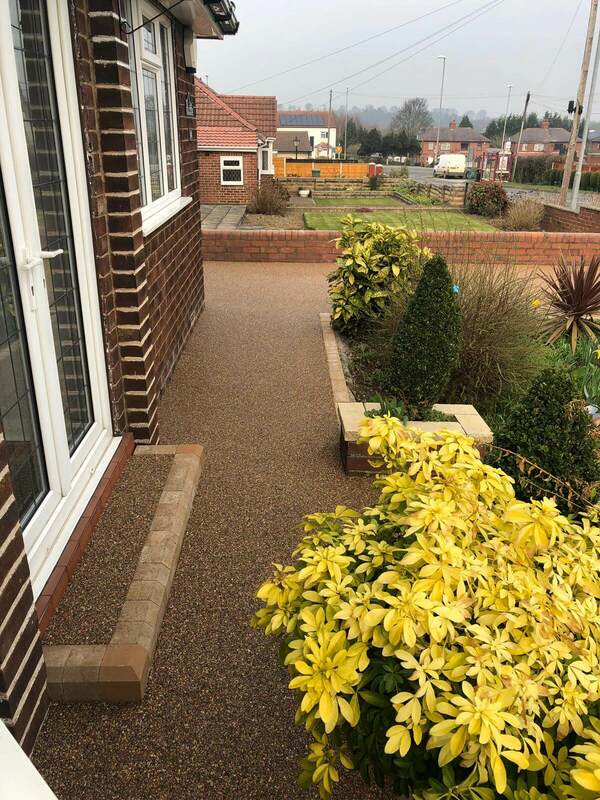 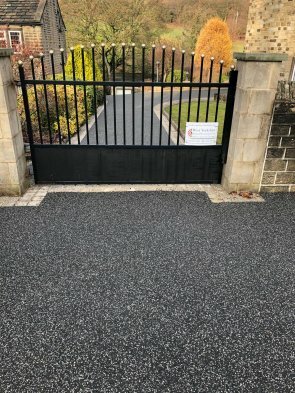 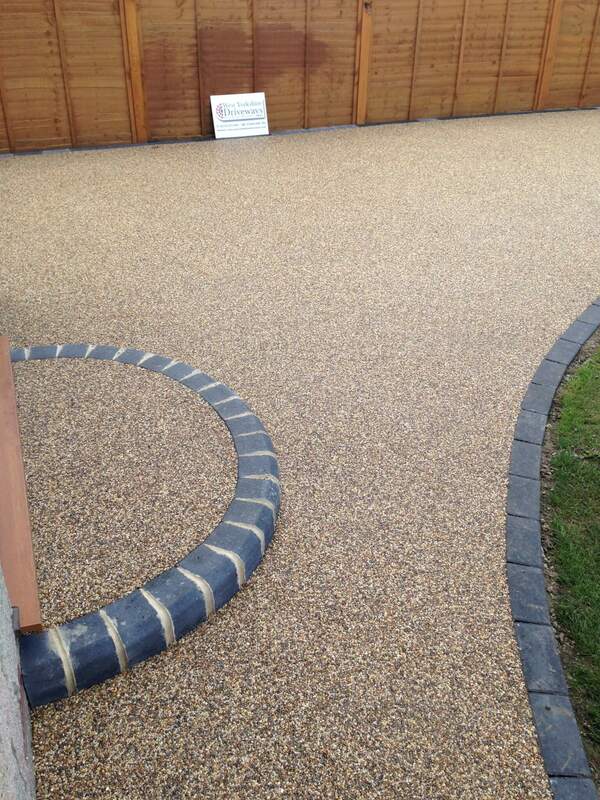 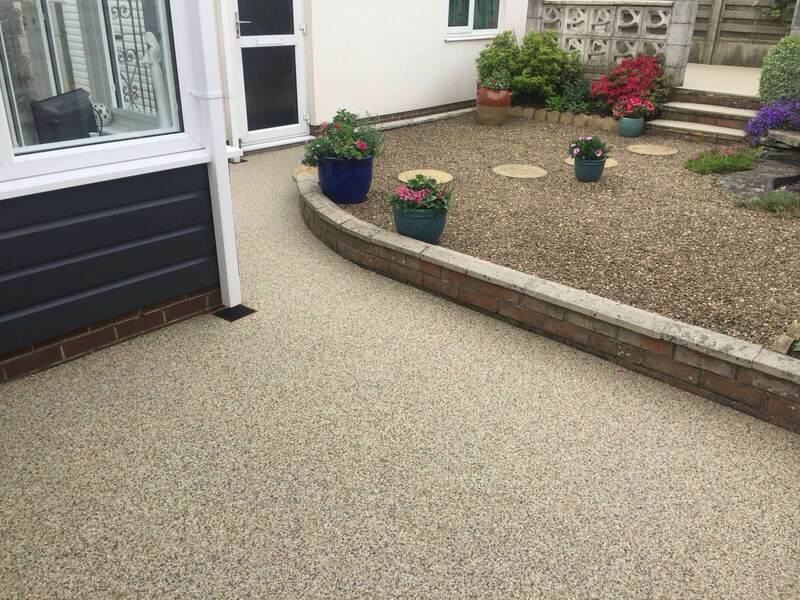 Resin bound driveways are becoming increasingly popular across the UK. 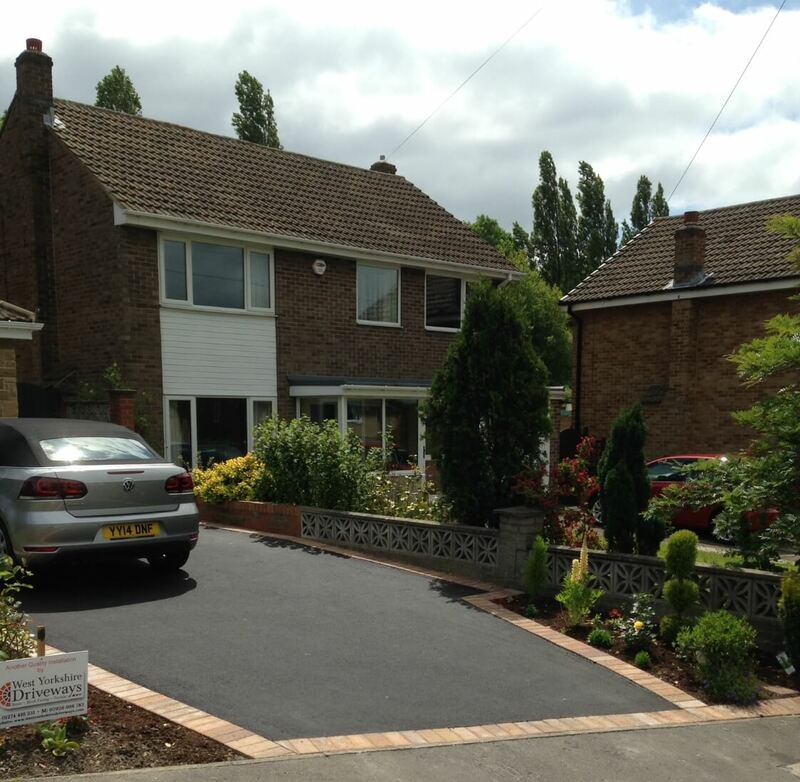 A beautiful bespoke driveway or patio area is the perfect solution to add value and kerb appeal to your property. A resin driveway is made up of a natural stone aggregate mixed with a polyurethane resin. 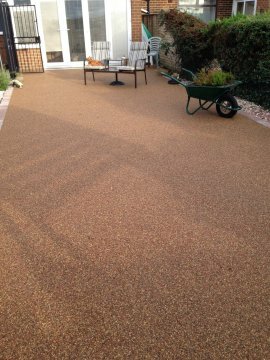 It can typically be applied upon an exiting concrete or tarmac base providing the old base is in good condition. 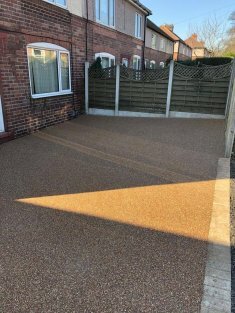 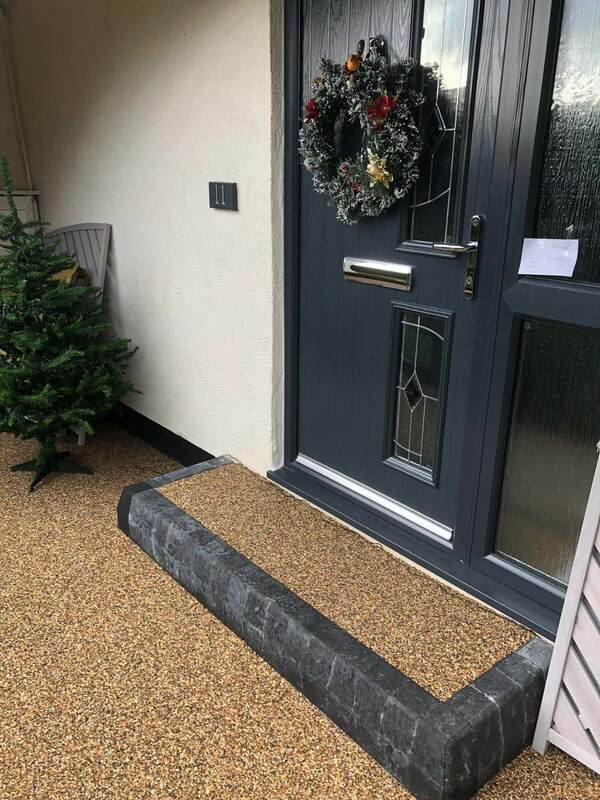 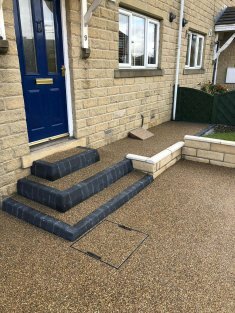 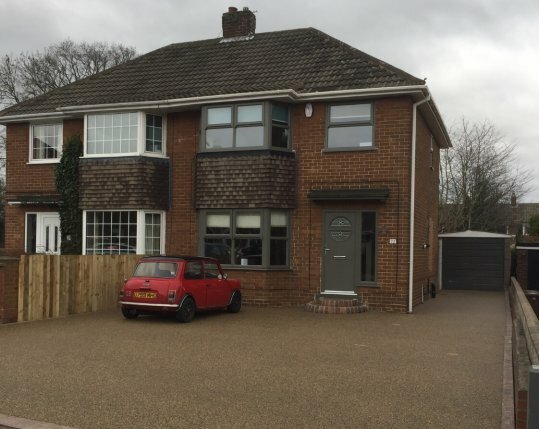 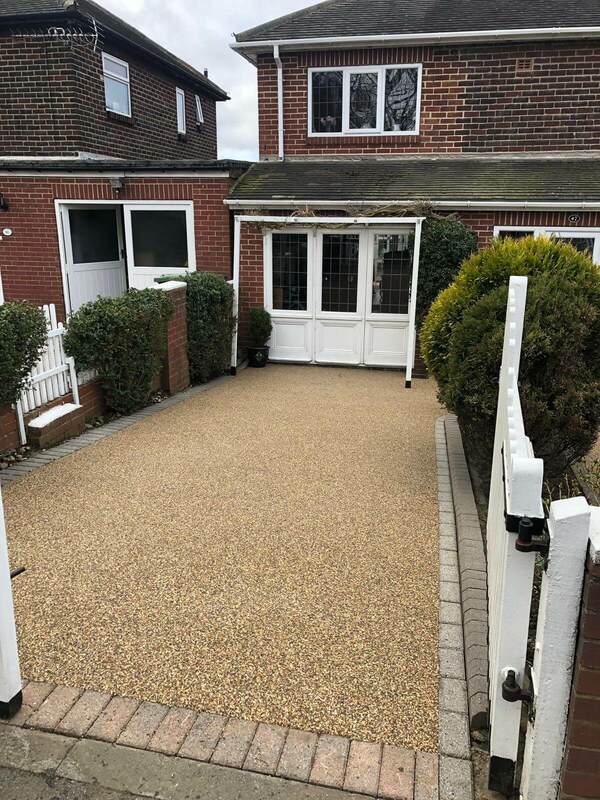 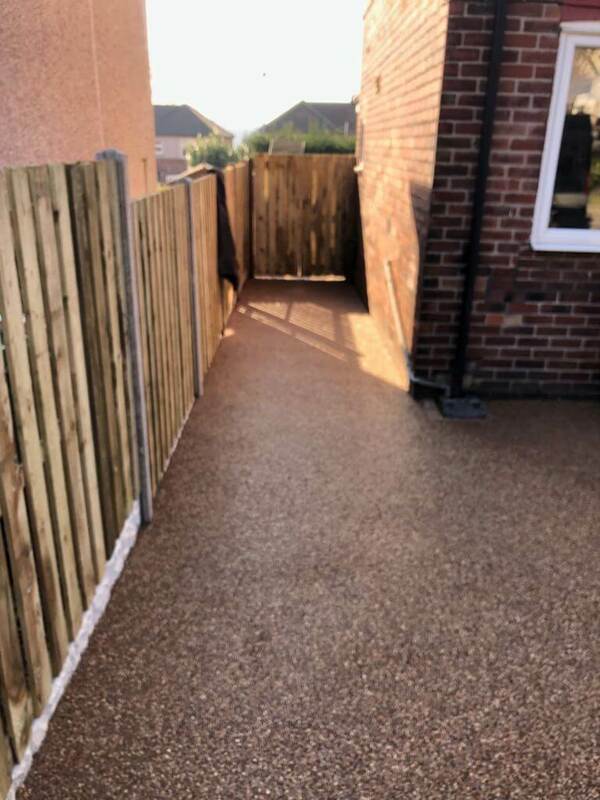 Where the existing driveway or surface is not suitable, we carry out an excavation and install new base materials to specification prior to laying the resin bound finish. 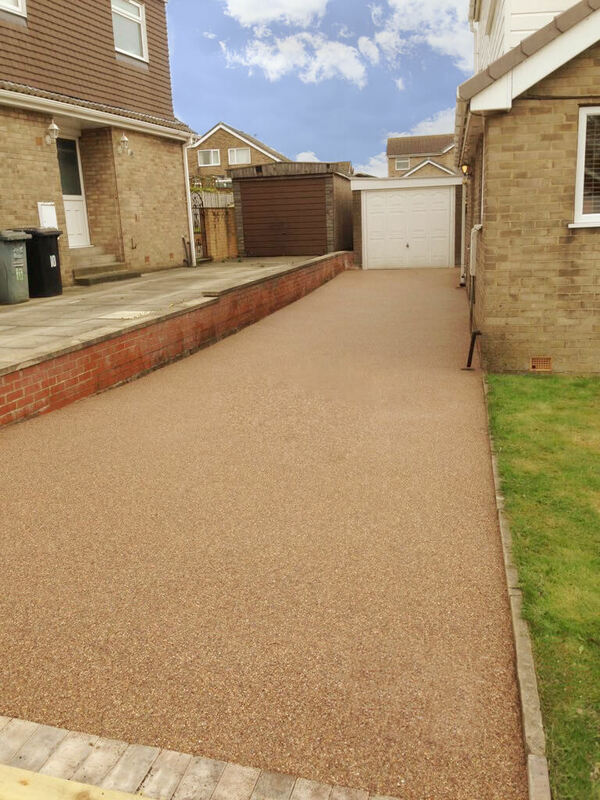 Resin driveways are over 10 times more eco-friendly than concrete or tarmac and allows water to drain naturally back into the water table through the permeable surface. This reduces the amount of surface water and puddles that form on the drive which meets the requirements of the sustainable urban drainage system (SUDS). 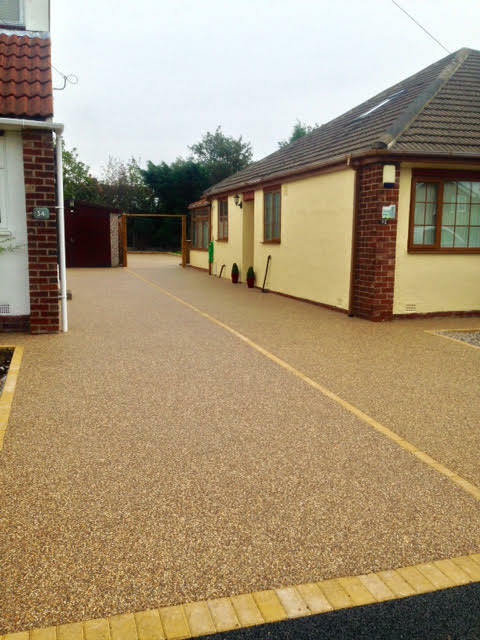 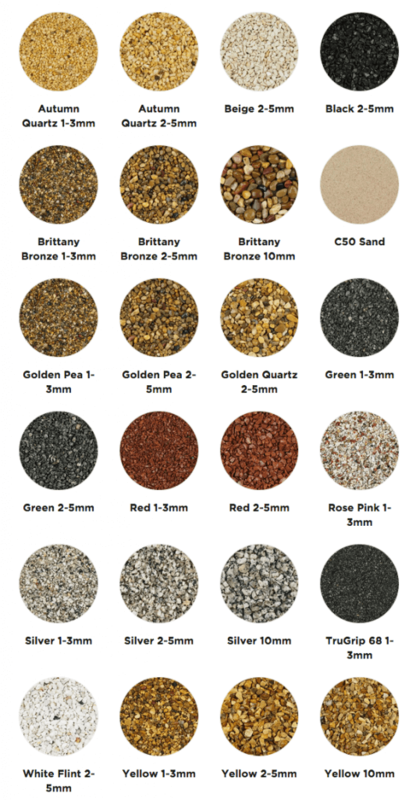 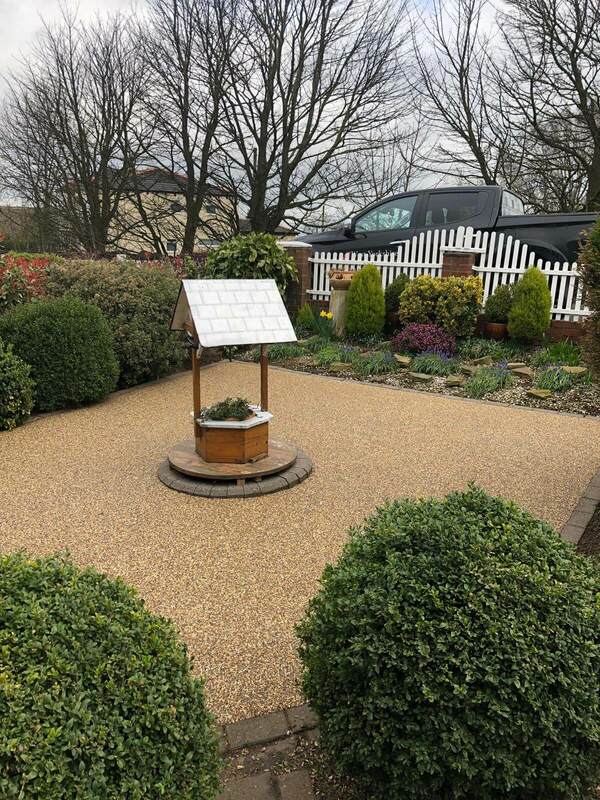 Our resin bound driveways use anti slip technology that conforms to BS-7976-2 guidelines. 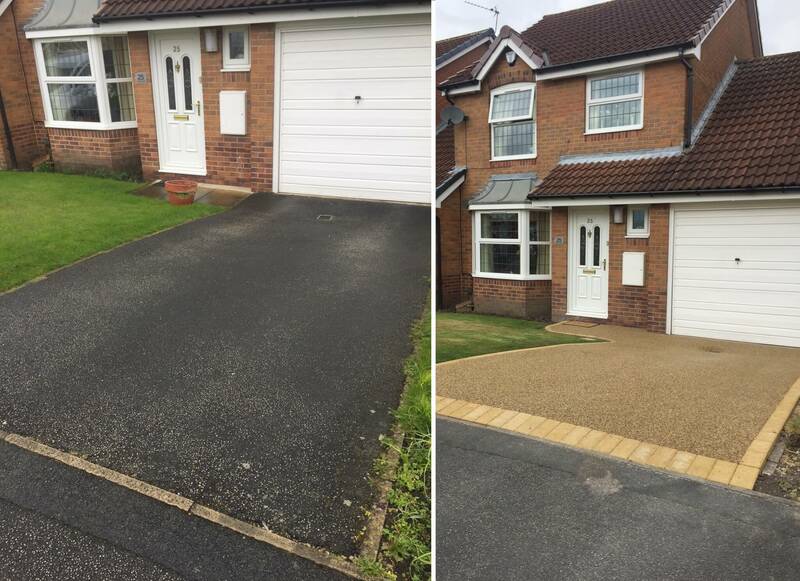 Our weed resistant formula ensures that it takes minimal maintenance to keep your driveway in top condition. As polyurethane resin is lab tested to -50 degrees in temperature, resin drives are also resistant to any frost attacks. 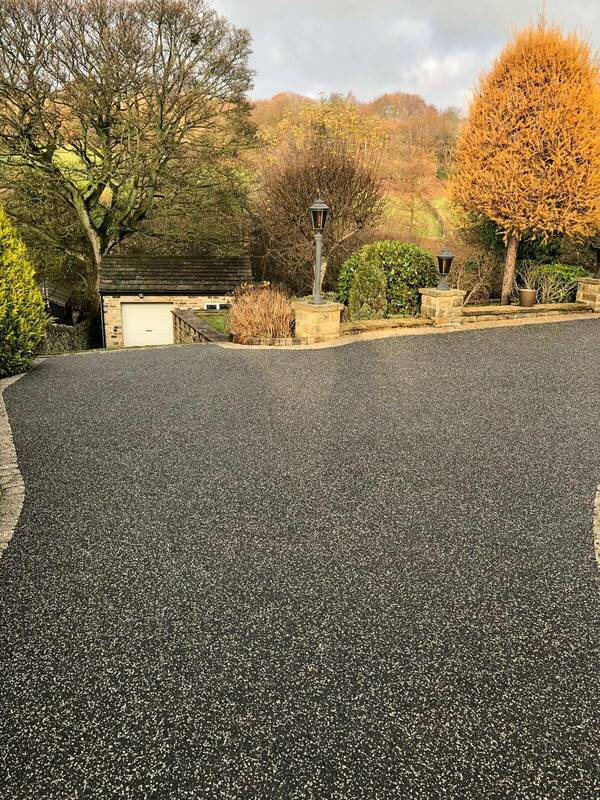 The surface is highly durable and has a long life expectancy offering a seamless finish without any loose stones. 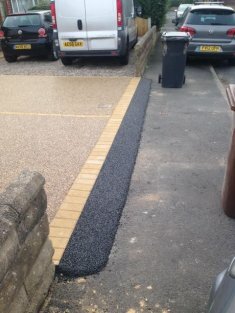 This is an ideal product for any kind of traffic, vehicular or pedestrian. 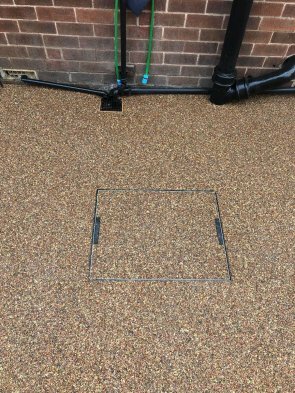 In some cases it may be necessary to install an ACO drainage system, but we can advise on a case by case basis whether this is necessary following a full site survey. 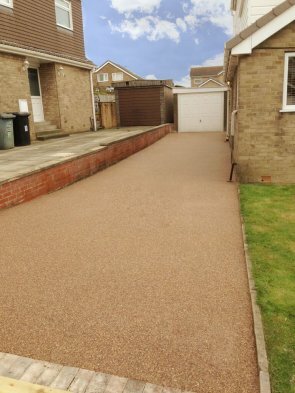 An ACO drainage system would generally be used on driveways with a steep incline. 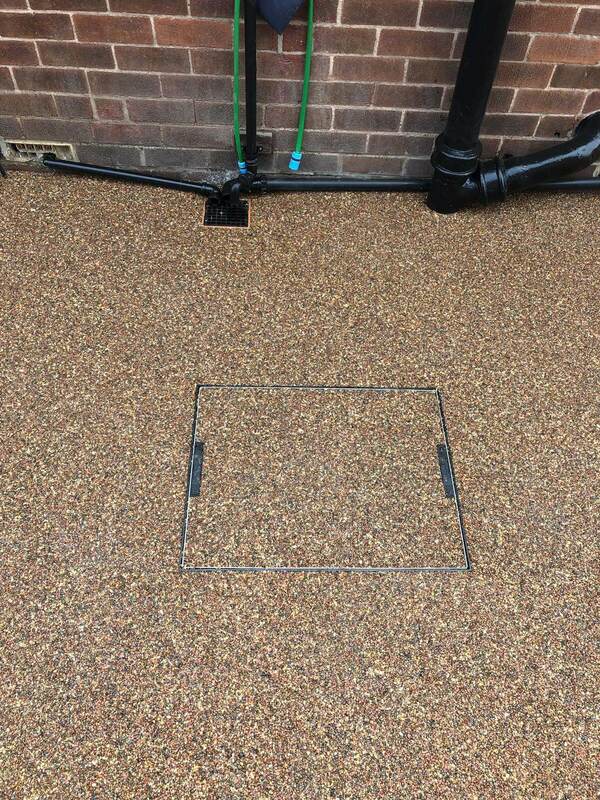 In some cases the existing base can be utilised which means no site excavations. 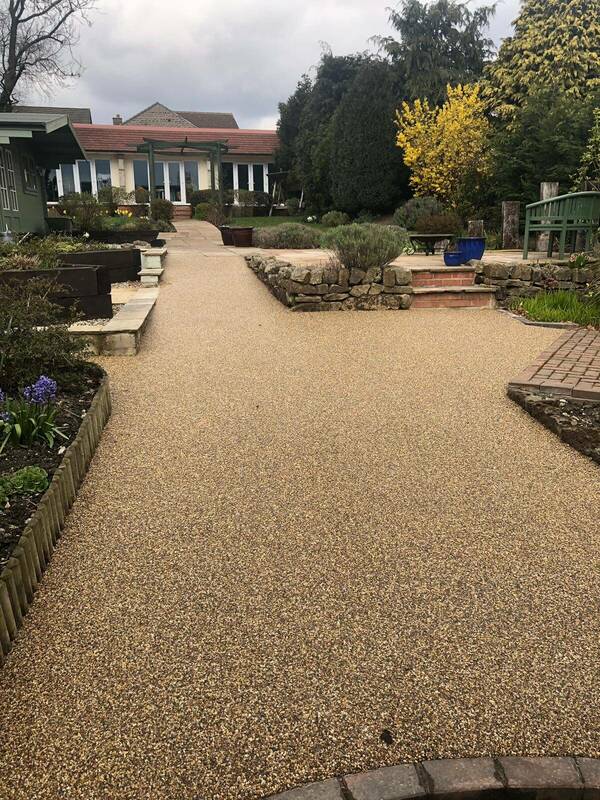 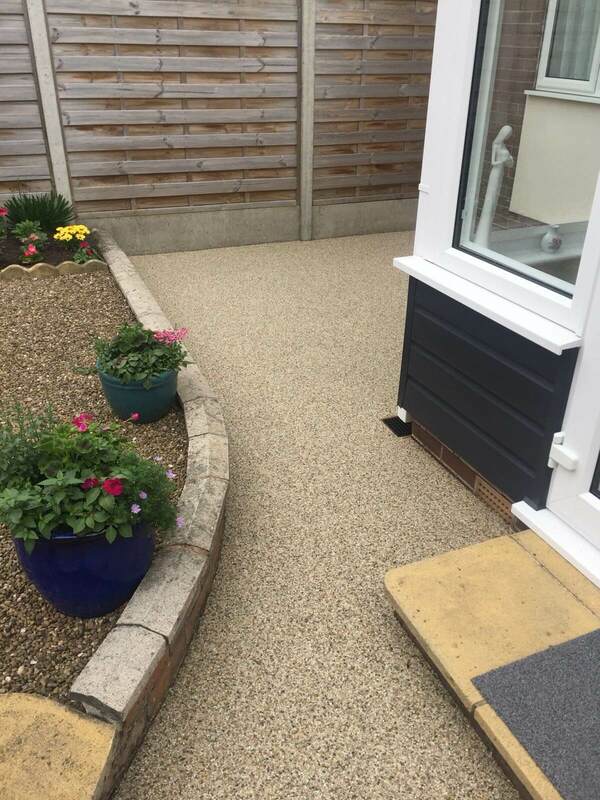 To find out more about our range of resin bound surfaces and how we can help you, simply fill out the contact form below and one of our team will get back to you.